During the XXV Bulgarian Antarctic expedition this winter (in Antarctica during that summer), in February, with my colleagues Docho Dochev and Stefan Velev we spent 17 days in a tent on the Bayers peninsula – the westernmost part of Livingston Island. There we studied the geology of the area. 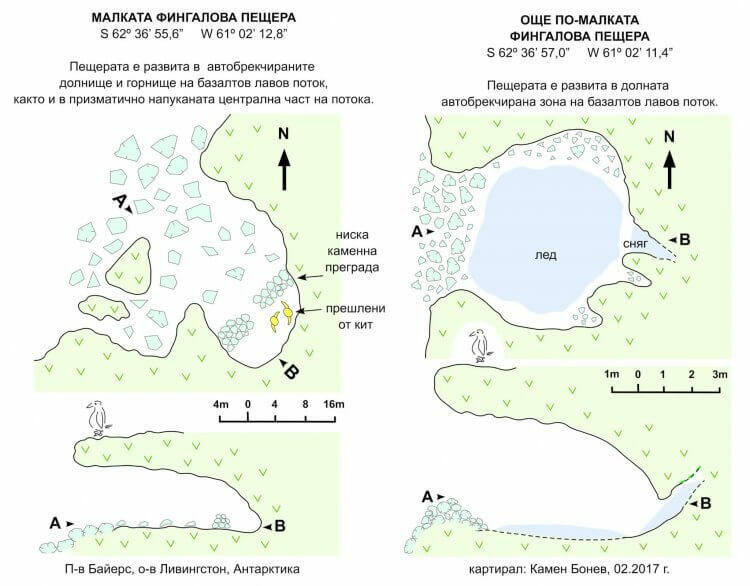 During our fieldwork on the peninsula, we encountered two small caves (the smaller and smaller arrowed cave), 25 m long and 7 m long, the maps of which are presented here. 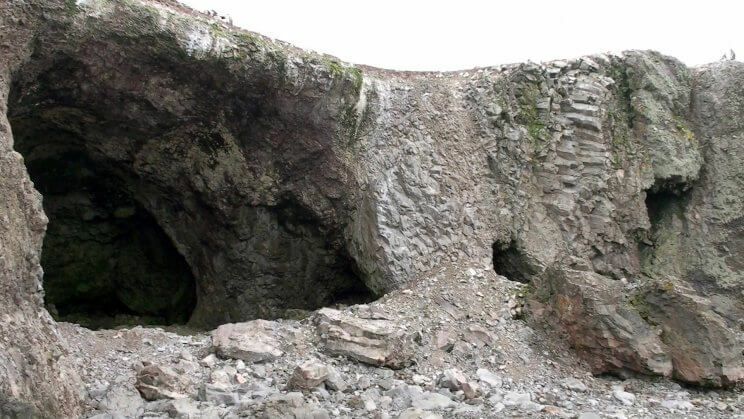 Interesting in this case, the caves are formed in a well-stratified basaltic lava stream with upper and lower autocrat zones and a central layer of massive lava with a well-pronounced prismatic crackle. Another interesting fact is that the caves are located in the area of ​​a large penguinarium and the penguins often use them as their shelter. Both smell definitively of a penguin kingdom. 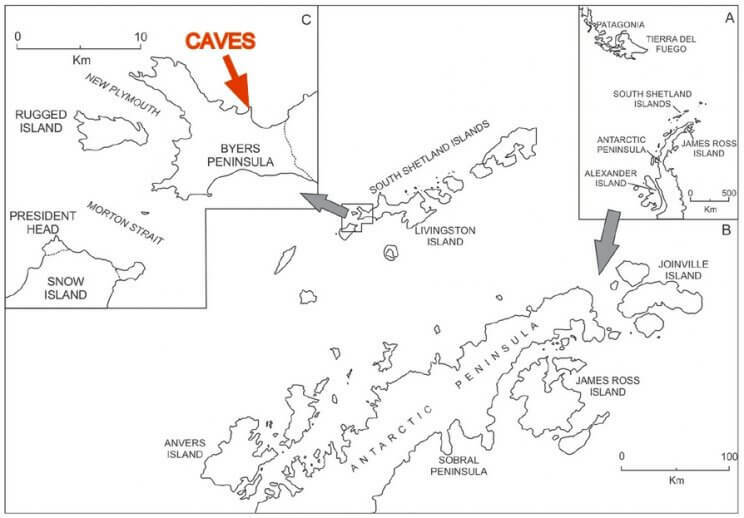 With a slight dose of humour, but with serious geological reasons, we named these small caves as small Fingalova and even smaller Fingala by analogy with the name of their great sister – the world famous Fingal’s cave.